Equilibar supply a large range of different regulators, specialising in high-performance back pressure regulators and vacuum regulators. At Fluid Controls, we are proud suppliers of Equilibar products and, as the only UK-based Equilibar suppliers, we can provide their full range of exceptional back pressure regulators. Below you can view the full Equilibar GS Series catalogue along with information on the Equilibar back pressure regulator Research Series. The Equilibar Research Series has been designed to utilise springs, sliding seals and other moving parts that can introduce hysteresis and other undesirables into a process. They set the upstream pressure with a spring and uses a thin supple diaphragm as the only moving part. This allows frictionless operation without cracking pressure or hysteresis. The Equilibar Research Series is specifically designed for a variety of gas, liquid and mixed phase applications where precision is a must. 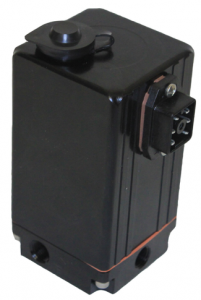 • Wide range of CV – Control flow over 100,000:1 turndown ratio. • High-pressure capabilities – Can operate at pressures up to 690 bar. • Low-pressure capabilities – Controls down to 0.5 in WC. • High-temperature capabilities – Can be used up to 450C. • Multi-phase flow compatibility & patented multi-orifice design. Click here to view the full Equilibar Research Series catalogue. The Equilibar back pressure regulator GS Series are used to provide stable pressure control for liquids, gases and mixed-phases. These regulators use a rugged 2-piece bar-stock boy construction, available in sizes 1/4″ to 1″. Common applications for these outstanding regulators include fuel cell testing and vacuum applications. The series is available in two different trims: GR, which is more efficient for lower pressures, and NR which is more robust for higher pressures. Click here to view the full Equilibar GS Series catalogue. The Equilibar Electronic Pressure Regulator QB Series has been designed and developed to precisely control the pressure of gaseous media proportional to an electronic signal. The QB series is built using a rugged stainless-steel manifold and is contained within a protective NEMA4/IP65 enclosure. 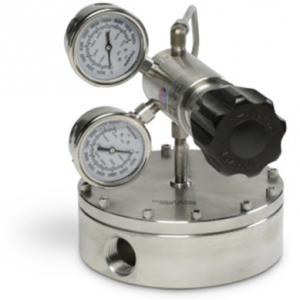 This series of electronic pressure regulators is primarily used for pressures up to 34 bar. For more information on Equilibar back pressure regulators or to speak to a Fluid Controls adviser, call 0118 970 2060 or email fluid@fluidcontrols.co.uk. For a technical question or further product information including a detailed quote, please complete the below contact form and Fluid Controls will be in contact within 24 hours.